Packed with Great Sounds and Value! The Yamaha’s PSR-E463 makes a perfect first keyboard for students, a solid educational tool for classrooms, and also a fun. Lightweight travel instrument and compositional tool for professionals. Each of the E463’s 61 full-sized, organ-style keys provides good resistance with a quick response that’s suited for playing dynamic string pads to quick brass lines and synth leads. And speaking of instruments: the E463 comes loaded with 758 rich stereo voices, which means students and recording artists will never be short on inspiration. And for purists, a one-touch Live Grand Piano function bypasses all advanced features to provide a lush, distraction-free grand piano sound with 48-note polyphony. Its intelligent backing tracks, a USB port for thumb drives and MIDI connectivity, and the included 9-lesson Yamaha Education Suite round out the PSR-E463’s value-packed features. The value-packed PSR series has been very popular and Yamaha keeps upping the ante. PSR-E463 offers significant improvements compared to its predecessor. The highly playable Groove Creator function lets you add intros, section changes, and musical climaxes to Grooves. Similarly to the way electronic dance music is controlled by a DJ. In addition, Yamaha has increased the number of Groove Patterns to 35, including ten new ones. A new Quick Sampling feature also lets you quickly capture audio samples to internal memory or USB and play them on the keys. Tweak the new assignable Live Control Knobs for synth-type sound adjustments on the fly. The PSR-E463 also includes larger collections of instrument Voices and more on-board backing Styles. Hence giving you more options for your backing tracks, plus added storage for optional Expansion Styles. And put the finishing touches on your creations with ten DSP effects, plus 12 reverb, 5 chorus, 6 master EQ, and 26 harmony effects. As with previous Yamaha PSR models, the E463 is a tremendous value for players who are just getting started. A solid-feeling keybed helps students learn how to navigate the core of a piano while working on their technique for acoustic instruments, organs, and synths. 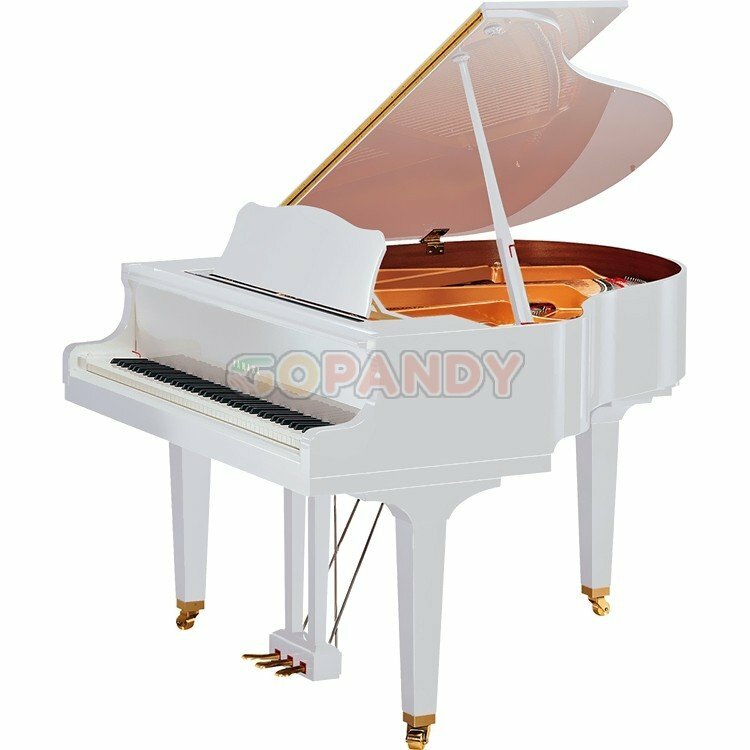 A convincing grand piano model brought to life by a pair of rich stereo speakers makes practice time enjoyable. And the included Yamaha Education Suite will teach your favorite beginner the essentials of the piano and a wide range of piano standards in no time. The E463’s expanded 48-note polyphony means you can play more complex chords and melodies without dropping notes. 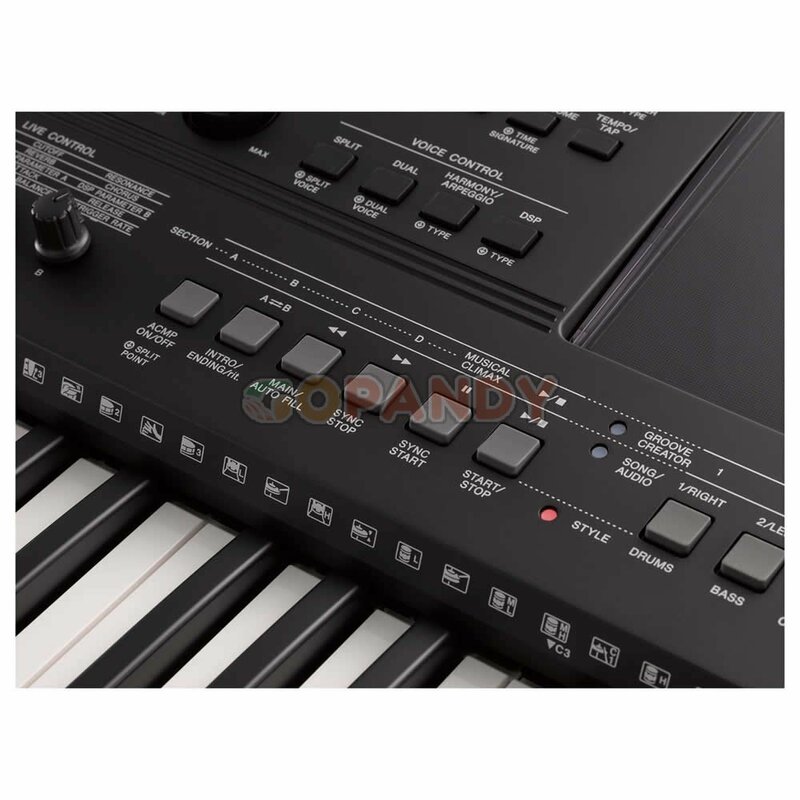 And more notes means more effect modes, too: nine types of on-board reverb and four choruses let you add piano-hall ambience to your concert performances and smooth jazz modulation to your electric pianos. The E463’s 26 types of harmonization are a useful composition and recording tool because, it allows you to workshop major, minor, and parallel harmonies without being a theory expert. The Yamaha PSR-E463 grows alongside you as you learn. Performers and songwriters will appreciate the 410’s on-board accompaniment styles. These styles include Brazilian, Indian, Chinese, and so much more. Each intelligent backing track adjusts automatically to the notes you play. Thus, making it easier than ever to accompany yourself and flesh out song ideas. USB and aux inputs let you play along with pre-recorded backing tracks or music from your phone. And USB Host/Device capability makes it easier than ever to record MIDI and music directly into your computer or tablet.